Writing in comics is something that many of us have a great deal of passion about. Who writes a book is almost as important as who the main character is, and I would say even more important than who draws it. Seeing different creators play in the sandbox that was begun by Jerry & Joe, Stan & Jack, etc is such a big part of the fun. 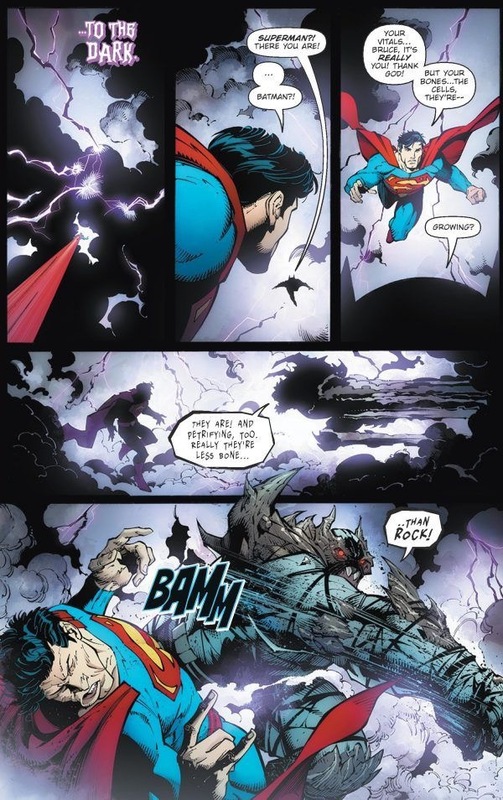 With characters like Superman, their malleability in stories is just as impressive as their longevity. Superman and Lois of the Golden Age are very different from Superman and Lois of the Silver Age, who are night and day from today’s interpretations, and so on. There is a lot of room for creativity, something that allows for a lot of fun stories. Within these different interpretations over the years, Spider-Man seems to always occupy the same space, more or less, be it in comics, TV shows or movies. So too, with Batman, Wonder Woman, Daredevil and many others. Superman? Not so much. For every Grant Morrison, Dan Jurgens or Mark Waid, there are an infinite number of writers- across all mediums- that for whatever reason just don’t seem to get the character. When that happens, we fans are often left wondering, why? 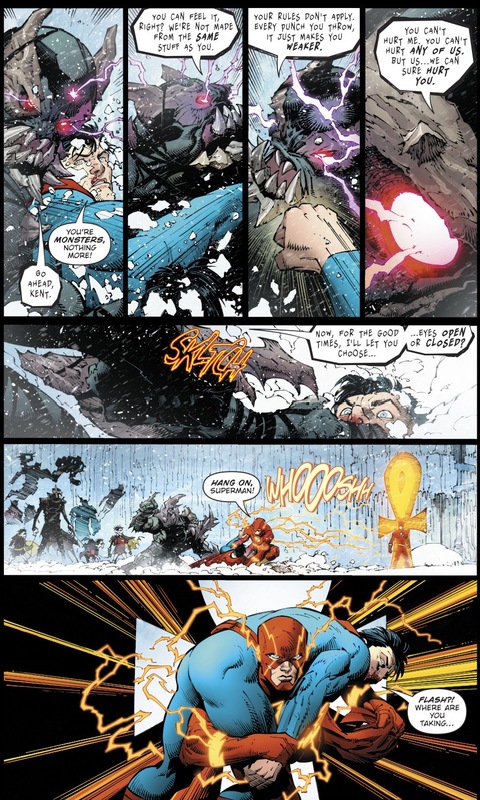 Having just finished Dark Nights Metal, by the phenomenal creative team of Scott Snyder and Greg Capullo, I can confidently say, yet again, that this is the case here. 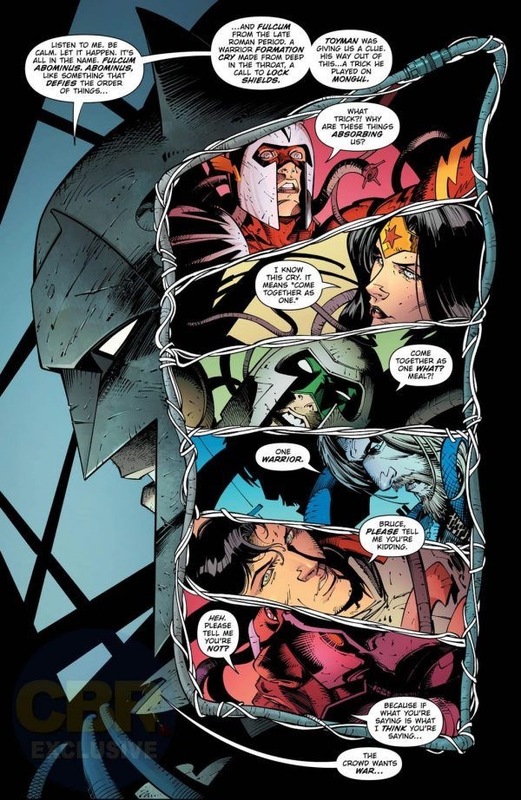 Snyder is one of, if not THE greatest writer of his generation, and his pairing on Batman with Capullo when New 52 launched in 2011 was the one bright spot in the entire line- indeed, a revelation! In this book I found Scott Snyder’s portrayal of Wonder Woman to be good, as was his Batman (even if it did elevate the character to nearly Morrison-esque levels of ability). Superman, on the other hand? Again, not so much. 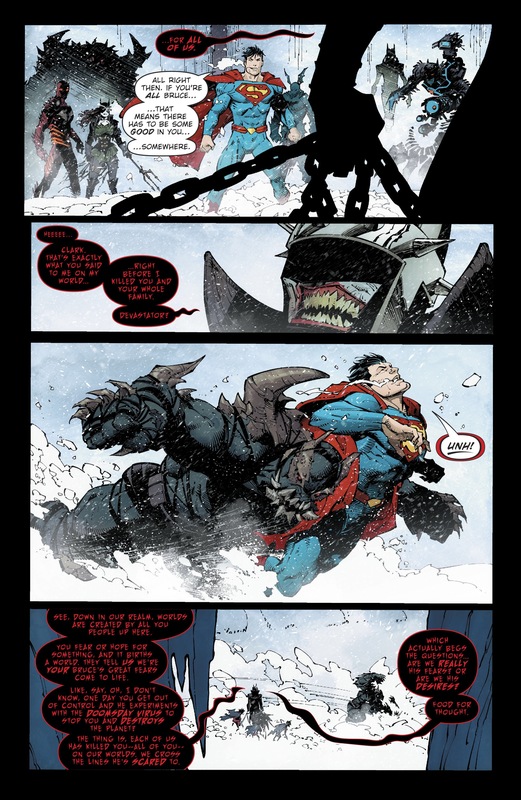 Why is it that a writer who makes Batman look so easy just can’t quite seem to get the same grasp of Superman? It seems that Snyder, despite being insanely talented, falls into the trap that so many others do when writing Superman: not knowing really what to do with him. 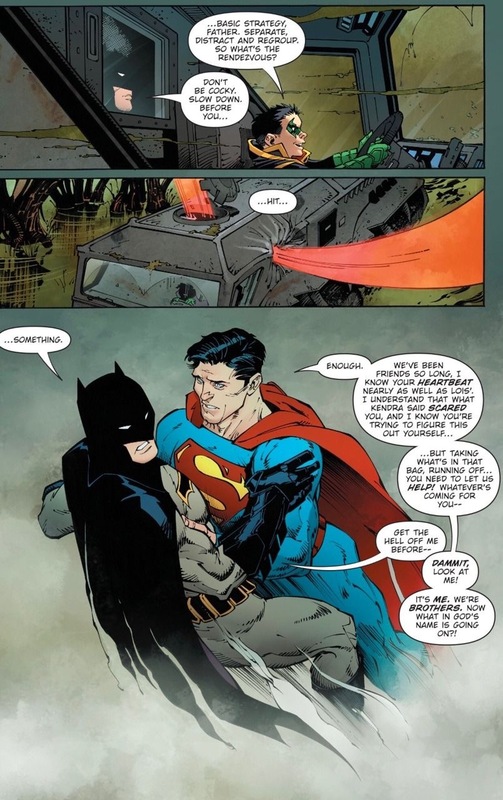 Whenever Superman and Batman are on the same team book, I get that both almost out of necessity become a little exaggerated, something I’ve never been a fan of. 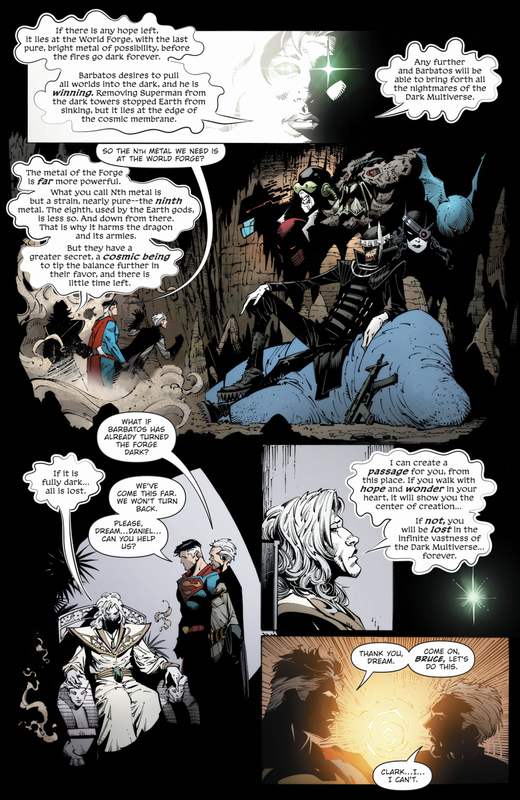 Batman is written as being even smarter to keep up with the massive power levels he’s surrounded by, and Superman becomes a bit more of a boy scout. Batman is a super genius, while Superman is relegated to naive child, or worse, angry naive child who’s good for a big punch every other page. Some fans have coined this approach to Superman “fists with a cape,” and I’m inclined to agree. In Superman’s heyday, writers often assumed that part of his abilities was “super intelligence” or, at the very least, knowing how to reason his way out of a problem (he is an award winning journalist, after all!). 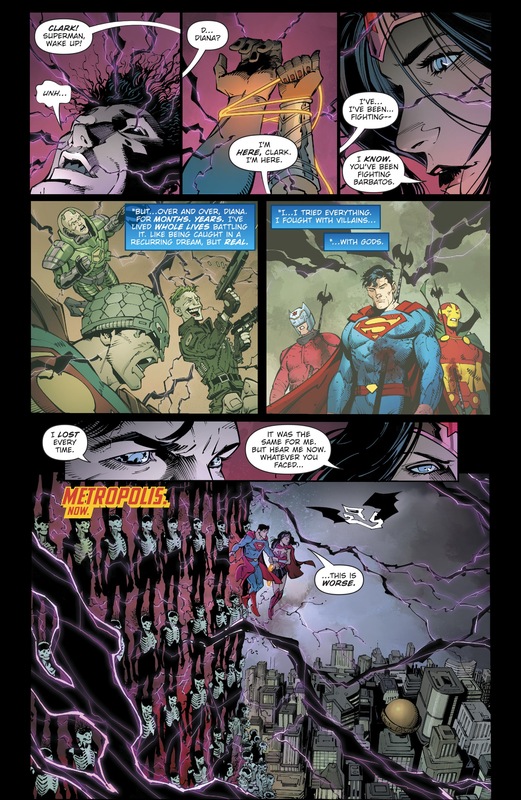 In the greatest Superman stories, rarely does the Man of Steel go off on a villain at the drop of a hat, if ever. An out of control Superman, one that’s prone to violence and relying on others around him to tell him what to do, just isn’t Superman. This has been a common theme with writers at DC for the last two decades, and ironically, I think I blame Bruce Timm. 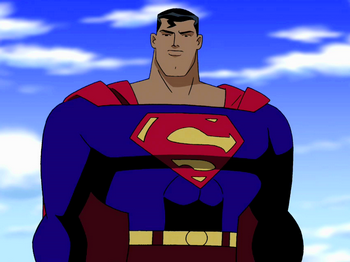 As brilliant and wonderful as the cartoons of the Timmverse are, I never felt like they completely got Superman, and now a whole generation has grown up with his work as source material. In either S:TAS or Justice League, Superman is featured far too often getting angry or getting beat up. 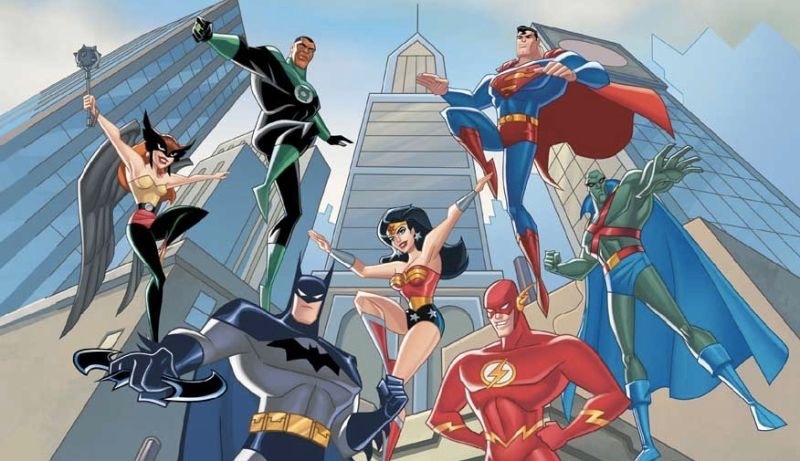 Both Metal and its sequel, Justice League: No Justice, both feel like Snyder’s own version of Justice League Unlimited, especially in his interactions between the main characters. The exaggerations of Batman and Superman are front and center and drive me nuts. In crossovers, boundaries with characters should be made very clear. It would just be nice if when Supes was featured in a big DC event or even team book from now on, he were written like he is in his own book, especially of the last three years. In reality, isn’t this why we read team books that feature characters we love to begin with? I’m cautiously optimistic about Snyder’s new, ongoing Justice League book, which I’m trade waiting for at the end of this month. If that doesn’t pan out, there’s always Doomsday Clock… whenever that happens.